If it feels like you’re hearing the term “mesh network” a lot lately, you’re not going crazy. Many people are tired of their router not reaching all areas of their home or running into “dead spots” where the Internet is so slow you wonder how you survived in the 90s. Enter the mesh network. Instead of one router generating a Wi-Fi signal for your entire home, mesh networks use multiple, smaller routers AKA “nodes”. One of these nodes gets plugged in to the modem used by your Internet provider, just like your current router. The additional nodes will then pick up the wireless signal and extend it to the area around wherever they are placed. What’s the difference between mesh networks and a wireless extender? If this sounds like a Wi-Fi extender to you, then you’re catching on. But what’s the difference between a wireless extender and a mesh system? With an extender, you usually have to manually connect to the network it creates in order to get the benefit of increased Wi-Fi coverage. Your devices won’t seamlessly switch over as you move around your home. For example, you have a router with a network named “Home” giving you an internet signal like most people. But maybe that router doesn’t reach one of the corners of your house like it should. So you plug in a traditional extender in a place that will give you coverage in that area. In order to get it to work, you would have to create a second network, maybe called “Home Extended” and manually switch between the two networks to get the best signal. Not the best experience you expect in this day and age. With a mesh system, however, you only have one network name and you can take advantage of what is called “seamless roaming”: or the ability to stay connected to the strongest signal wherever you are within the network without having to manually switch over to another Wi-Fi name. Cool, but why should I care about this? We have more devices connected to the internet than ever before. We’re also more mobile than ever before, even within our own homes. How often do you exclusively sit at a desk and work on your computer? Chances are you spend plenty of time on your phone or tablet all over the house as well. You probably also have a device that allows you to stream shows and movies or game. Before, there were limitations on where you could plant yourself in your home to use the internet. With mesh, all of those issues are gone. 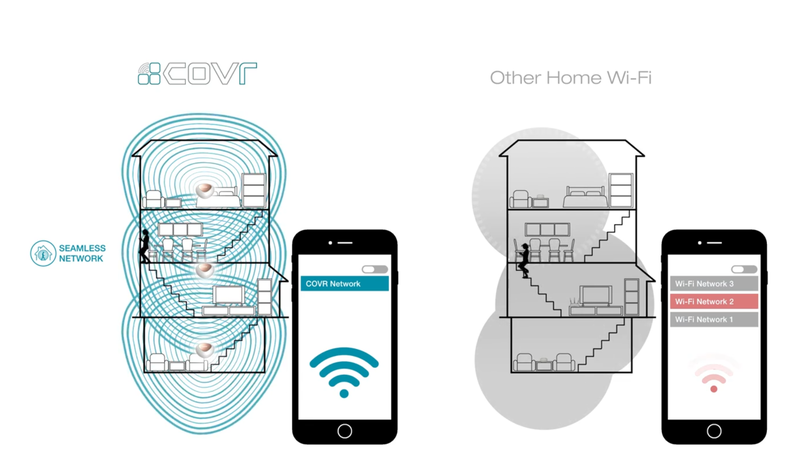 The Covr Whole Home Wi-Fi System offers the latest Mesh Wi-Fi technology. 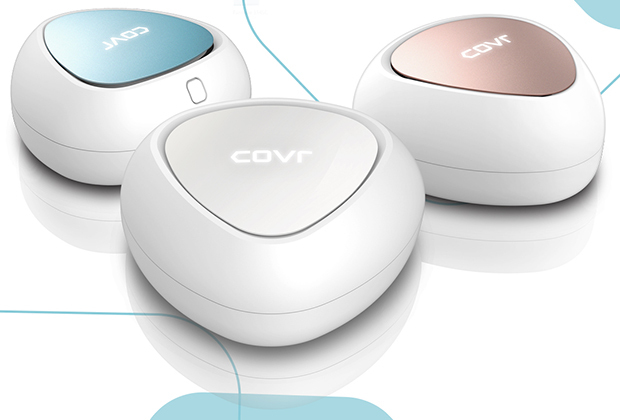 Giving you up to 5,000 ft. of coverage with smart roaming technology, the Covr Dual-Band 3-Pack system offers up to 1,200 Mbps speeds to make sure that all the connected devices in your home perform at their best, no matter where they’re located. With the world’s only swappable color plates to match the room decoration it’s placed in, you don’t need to hide your router in the cabinet anymore resulting in the best Wi-Fi performance. Why wouldn’t you want mesh? 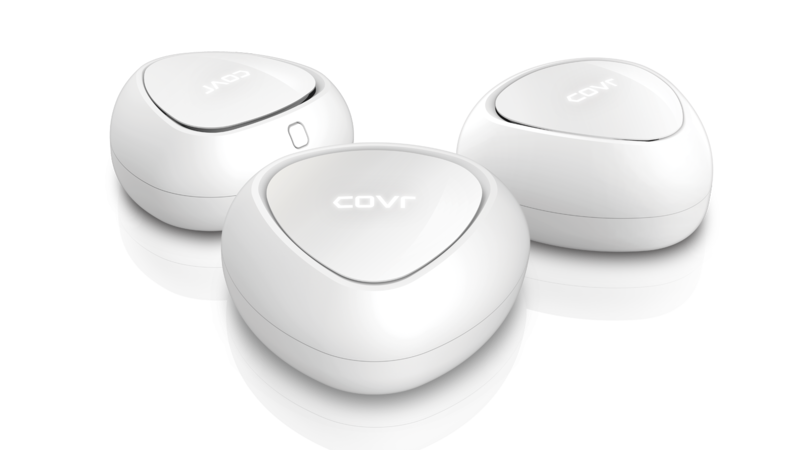 While mesh networks are great for many, there are some out there who may not need something like Covr. Some of the types of people who might not need a mesh network include people in small living spaces (one bedroom apartments, studios, etc. ), single rooms needing only one router. In these situations, one of our many other wireless routers would fill these internet needs perfectly.